Last week, the United States Department of Justice announced the largest healthcare fraud action to date. 412 individuals were charged, including 115 doctors, nurses and other medical professionals for their roles in healthcare fraud schemes. 120 doctors and other medical professionals were charged for prescribing opioids and other dangerous narcotics. The HHS has also initiated suspension actions against 295 doctors, nurses and pharmacists. The charges aggressively targeted individuals responsible for fraudulent Medicaid, Medicaid and TRICARE billings, although this year also saw a focus on doctors and other medical professionals that have been fueling the opioid epidemic by illegally distributing opioids and pother powerful narcotics. Approximately 91 Americans lose their lives each day due to opioid overdoses. The bust was a joint operation by the Department of Justice, FBI, Medicaid Fraud Strike Force, DEA, U.S Attorney’s Office and the Department of Health and Human Services. A joint announcement about the bust was made by Attorney General Jeff Sessions and HHS Secretary Tom Price. The takedown beats last year’s bust when 301 individuals were charged with fraudulently obtaining $900 million through Medicare and Medicaid billings. In 2015, federal authorities charged 243 individuals for fraudulently billing $712 million. In the most part, the charges related to billings for treatments that were medically unnecessary and treatments that were billed but never provided. In many cases, kickbacks were paid to obtain beneficiary information to enable fraudulent claims to be submitted. The takedown saw arrests across 41 districts although the state with the highest number of arrests was Florida. 77 individuals in South Florida were charged with offenses relating to various fraud schemes. Those schemes involved $141 million in fraudulent claims to Medicaid, Medicare and TRICARE. Two individuals were charged with fraudulently billing $58 million in fraudulent insurance claims for drug treatment services. Ten individuals in the Middle District of Florida were charged with fraud offenses that netted $14 million, with one individual defrauding the TRICARE program out of $4 million. 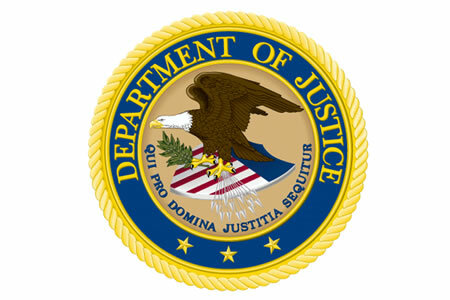 32 individuals from the Eastern District of Michigan were charged for offenses related to healthcare fraud, providing kickbacks, drug diversion and money laundering and for billing $218 million for unnecessary medical procedures and procedures that were never provided. One of the cases involved nine defendants, including six doctors, that were prescribing controlled substances that were subsequently sold on the street and $164 million was billed to Medicare for unnecessary procedures and procedures that were never provided. 26 individuals in the Southern District of Texas were charged, with their cases involving more than $66 million in fraudulent billing. One physician and clinic owner were charged for issuing medically unnecessary prescriptions of hydrocodone to patients. The clinic was seeing between 60-70 individuals each day and paying $300 in cash per visit. 17 individuals from the Central District of California were charged for defrauding Medicare out of $147 million, two of which were involved in a scheme that fraudulently charged $41.5 million to Medicare and a private insurer. In Southern Louisiana, 7 individuals were charged in connection with $207 million in fraudulent billings and a pharmacist was charged with submitting and causing the submission of fraudulent and false claims to TRICARE for $192 million.